WORLD WHALE BUZZ: A New Calf for the Bay of Fundy? 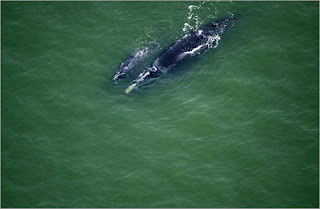 A New Calf for the Bay of Fundy? Cat's Paw and her new calf Resolution. "Check out the A rare birth Photo Gallery on Boston.com. " through Boston.com's email recommendation service.